We have definitely crossed into the land of toddler poo. A much different place than exclusively breastfed island and starting solids peninsula! If you have other children you know what to expect. But if this is your first, you might be in for a rude awakening. In the early days, when your little one is exclusively breastfed or on formula only; you really are able to just throw everything into the washer and let it take care of the dirty work. I promise! Especially EBF poo! It is totally water-soluble. Just splash some water on it and you will see it practically breaks up into nothing. Formula poo is a little thicker, but will also easily wash away. I know…I know…some of you are thinking that it may be a little gross to not clean it off at that stage. Today’s washing machines are designed to handle just about anything we throw at them. And before 6 months, poo isn’t really an issue for most washing machines. Feel confident that it will all come out clean, because it WILL! After you start any kind of solids, this all changes. Now what??? TRY THIS FIRST: Some poos can just sort of plop off the diaper. Only certain textures of poo will work with this method (think moldable). 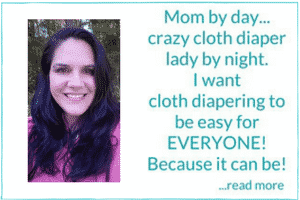 I fold the soiled diaper in half and kind of mush it together with a squeeze. Don’t go over board with this as you don’t want anything squirting out! Open it up and gently shake until the poo falls off into toilet. If done correctly with right type of poo, most of the solid material should come right off, no additional cleaning necessary. If this method won’t work for you then there are a few different options to consider. This is probably the easiest solution, although not the most cost effective. Basically, when doing a diaper change, you lay a disposable liner on top of the diaper and then finish putting it on. Little one poos and you just take the liner and the poo and flush down the toilet (or throw into trash if you have to). Pros of this method include ease of use. Convenient for trips out of the house because you can get rid of mess immediately and not drag it around in your wetbag. I recommend Eco Sprouts Eco-Bottom Liners. They are by far the softest liners we have ever tried. This is just what it sounds like. Maria over at Change-Diapers.com has a great video that shows exactly how this can be done without getting your hands dirty. I admittedly find this method a little disgusting. I am sure my problems with this are all in my head, but there is just something about the toilet bowl water that skeeves me out! This works for many people with absolutely no problems! A sprayer is attached to the side of the toilet and is used to spray solids off while you hold diaper vertically over bowl. There is no getting your hands dirty or bowl water touching the diaper if you don’t want it too (although it is fine if it does!) If you are using a sprayer and looking for more protection from splashing anything anywhere but the bowl check out the Spray Pal! Even if you think you don’t NEED one, it is a super nice thing just to HAVE one! This is my recommended method. We have a BumGenius Diaper Sprayer. It was simple enough that I installed it myself. I have been using it for 20 months now with no problems. For the poo that won’t plop off I just spray it off just like you would use a garden hose if you were outside. Fold in half and then throw in wetbag until washday…done! What is your preferred poo removal method? I use a Spray Pal and a sprayer. I have started using fleece liners I love how easily they spray clean! I prefer to use a dish scraper that stays in the bathroom. I don’t have to touch poo, don’t have to touch toilet water, don’t have to squeeze water out of the inserts. Works really well for us. I have reusable liners but they so rarely actually catch the poo they are kind of useless! 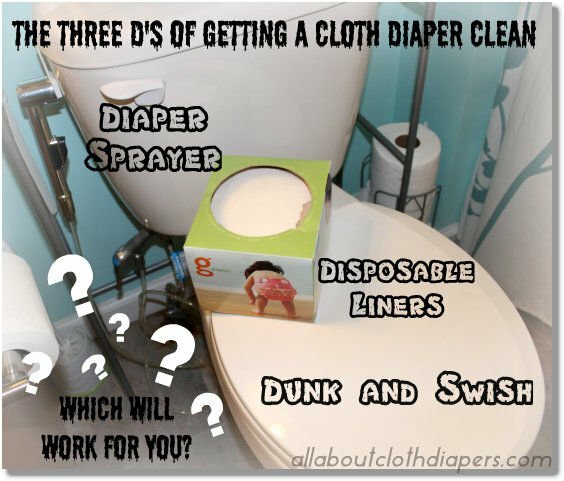 I used the dunk and swish method when my oldest was in diapers, but my youngest poops on the potty! we do part time EC bc he’s always hated being dirty or even really wet, and now he reliably poops on the toilet every morning since he was about 5 mo (he’s 8 mo now). homemade fleece liners are the way to go! once i read that 1) they work great as a “stay-dry” liner for baby’s soft skin, and 2) due to the nature of the material (it’s not woven), poop will just drop off of it into the toilet, i was all set to run out and buy a dozen. then i read a post that said “why buy–make ’em yourself,” i knew i had my fix. i simply traced one of my hempbabies doublers onto a piece of cardboard, bought a fabric marker (ink disappears when washed), and 2 yards of regular ol’ fleece (don’t use “blizzard” fleece). i have about 30 homemade liners for the price of one purchased liners. i just shake the soiled liner over the toilet, and the poop really does just drop off; the soiled liner goes in the wash with the diaper. if you want to use a fleece print, go for it, but there is no need to buy one with extra material serged onto it. There is also the sink-connected sprayer option, which is more portable than a toilet-connected sprayer AND lets you run hot/cold water as desired! This has been my favorite so far. I had no idea! Thanks for sharing Courtney! I will have to check this out! I make my own reusable fleece liners. Just buy fleece remnants from the fabric store and cut to a liner size (I just cut rectangles roughly the size of where poo may go). The most I have spent is probably $5 for 2 yards of it. Yes it pills over time but after making tons of these and using them for a year or two before needing new ones, this is the best solution I think there is! Then we have the other three options available depending on the situation. Harder poo-shake the liner over the toilet and it plops in. Softer poo and you are out and about-dunk and swish the liner (you don’t have to do the whole diaper which results in a very soggy diaper and sometimes leaky wetbag!). At home we have a diaper sprayer, we spray our liners off and put them back in the diaper and into the pail. It also keeps our diapers stain free and looking pretty good. I love my home made fleece liners AND my diaper sprayer. I love the reusable bamboo liners from lilhelper (http://www.lilhelper.ca/stay-dry-liners/). I have been using them for months now, and they are just as soft as when I first bought them, and they don’t stain. Plus, baby’s bum stays drier than without, and drier than with a flushable liner. I have tried reusable fleece liners, and they don’t stand up – they pill and aren’t as soft as they were when I first got them. Apparently poop will slide off the bamboo liners – I have only just started food, so I can’t comment on that, but BF poop washes off really easily! Instead of using a diaper sprayer we have a hand held shower and a 5 gallon bucket that we just dump into the toilet. It’s a little more multi-functional than just a diaper sprayer since it’s a pretty nice shower head. I just turn it to the massage setting and it gets poop right off. I love this idea! The wry first time I’ve seen it. Thanks!! I find disposable liners so useless. It’s rare that toddler poo will be solid enough to easily remove from the diaper on top of the liner. 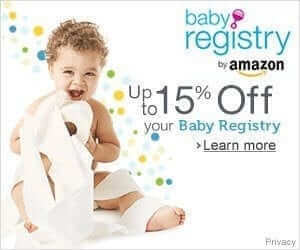 I find it always moves around when your toddler is running around, and it also makes your stay dry diapers count for nothing since the wet liner is just sitting on top giving your baby a rash. Can you tell I hate disposable liners? Lol. I find if you just use a re-usable stay dry liner it reduces staining on your dipes and usually (not always) you can take out the liner and just rinse that rather than the big dirty diaper. I’m grossed out by the toilet bowl as well :S our shower head reaches the toilet bowl so we just use that. If we didn’t I would have bought the diaper sprayer for sure. I prefer the scrape method or the dunk n swish. With the scrape method, I just take a flat whisk that I keep in a container beside the toilet, scrape off any messes into the toilet, then put the diaper in the pail. Then you swish the whisk and flush!